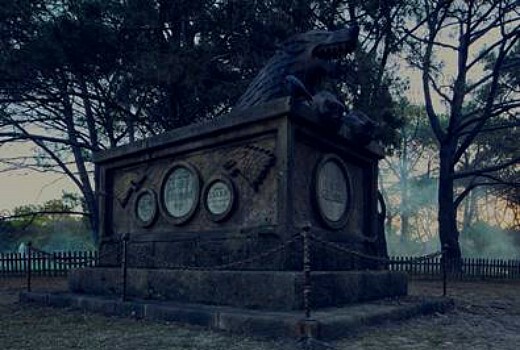 Sydney’s Centennial Park will be home to a “Grave of Thrones” this weekend, ahead of the final season return of hit series Game of Thrones. Created for Foxtel by DDB Sydney, Revolver/Will O’Rourke and The Glue Society the marketing stunt took sculptors and builders hundreds of manhours of work. Spanning over 2,000 square metres, it features a collection of gravestones, including two grand family mausoleums housing the deceased members of House Stark and House Baratheon and the headstones of some of Game of Thrones’ most infamous characters, including Joffrey Lannister, Ramsay Bolton, Khal Drogo, Tywin Lannister, Littlefinger and Olenna Tyrell. Game of Thrones returns Monday, April 15 at 11.00am AEST.